Hope you all had a good weekend :) sorry for my lack of blogging, tax return season was upon us at work (in case I haven't said it before - I am an accountant.. don't judge me!) which meant crazy overtime at work... the deadline was yesterday, so some normality can resume. 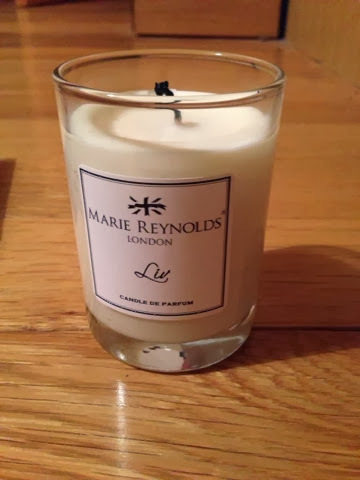 In the midst of the stress & madness I was kindly sent by the lovely Steph over at Beauty Emporium a few of the Marie Reynolds Candles to try out & tell you all about them! I can honestly say these candles got some amount of testing over the past 2 weeks as I used them to unwind after a day of being shouted at across the phone, rushing around & general chaos! (You should see the breakout I got!) 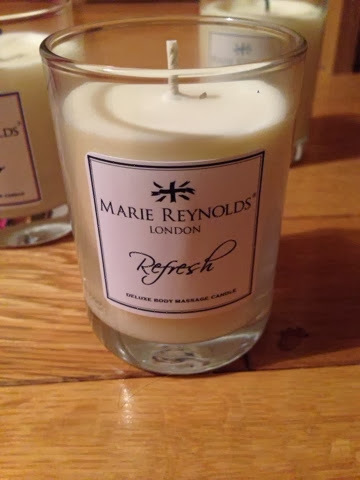 so firstly, I can testify to the relaxing properties of these gorgeous candles! Organic Soy Wax – Made from soy beans, this wax is a renewable source and an excellent source of Vitamin E and complete amino acids making it a ourishing body moisturiser. Moroccan Argan Oil- the ‘elixir of youth’ not only an excellent hair treatment oil, Argan Oil is a wonderful skincare oil. Protein rich Argan oil is very good for the elasticity of skin. It strengthens the protein bonding structures in the skin which works to tighten the skin and make it look fresh. Works to heal scarring and stretch marks. So nothing chemically or bad, all made from using what Mother Nature gave us to help our skin or hair. I can work with that! So there are two types of candles. 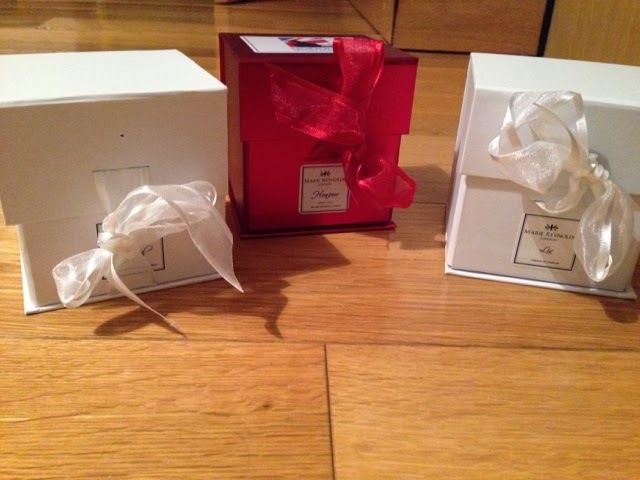 The first, the Candle de Parfums, are massage candles ‘Candle de Parfum’’ have an organic soya wax base infused with top, middle and base notes to create a bouquet of aromas that will last throughout the burn time. The melted soya wax can be applied to the skin allowing the aroma to stabilize so that the scent lasts longer and with the added benefit of the hydrating properties of soya wax, so your skin will be silky smooth with a long lasting fragrance... these are just DIVINE!! Liv's scent is described as a "blend of soft citrus, bergamot, fragrant amber with backgrounds of Tonka seed, fleur d'oranger, vanilla, sandalwood and sweet musk"
The other type of candle are the AromaWax Treatment Candles include Argan Oil and a blend of pure essential oils. Argan Oil is known for its nourishing properties and Soya is also very hydrating. The combination of the two, along with the therapeutic benefits of pure essential oils are less focused on the fragrance (but they still do smell luxurious!) 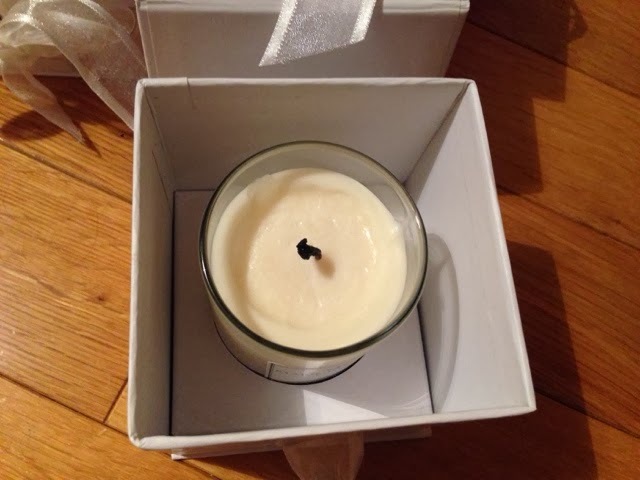 and more on the hyrdrating, caring properties of the massage candle. 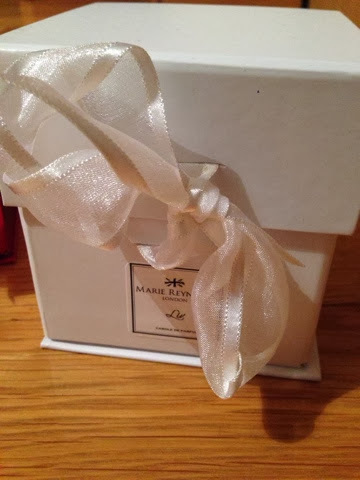 Refresh is described as "A divine blend of essential oil of peppermint, lavender and geranium combined with luxurious organic soya wax, Moroccan Argan Oil and shea butter"
Honour is a candle that was released to raise money for for Honour British Forces, a charity that raises funds for those that have been discharged from the forces due to ill-health. 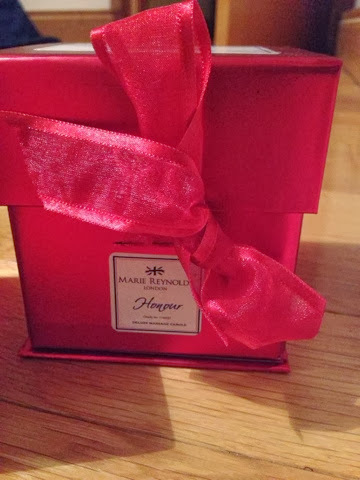 The scent of this AromaWax is Lemongrass, Grapefruit, Lime, Poppy Seed Oil, Jojoba, Sweet Almond Oil,Cocoa and Shea Butter and is probably my favourite of the two. 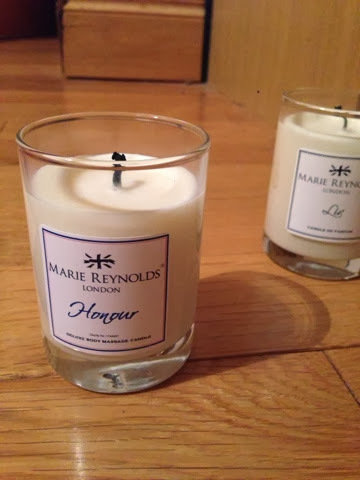 If these tickle your fancy you can get your hands on them over HERE at beautyemporium.ie with a full size candle costing you only €36.95 these are value for money as a little of the massage oil goes a long way - I haven't even made a dent in mine after near 3 weeks of use! 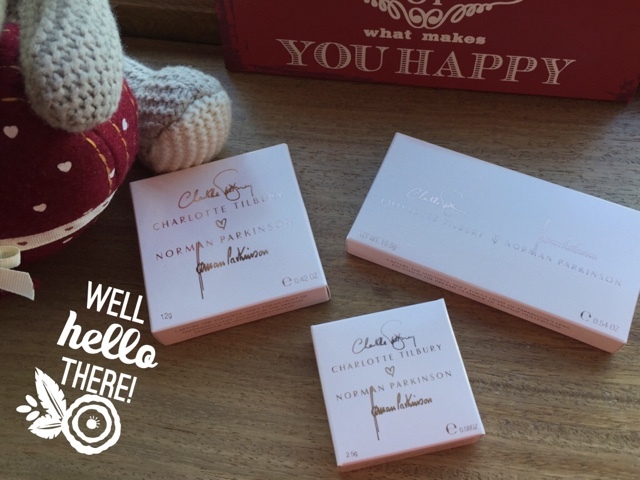 Thanks for checking out the post & please do give Steph some love over on beautyemporium.ie! 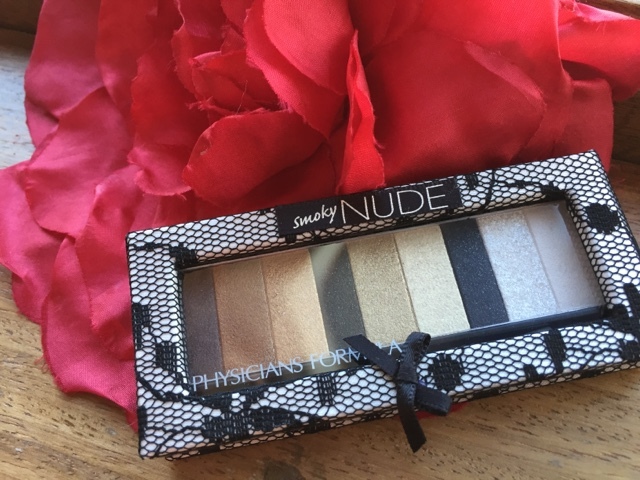 she is so so helpful & has a HUGE range of products from Sleek Makeup to NYX! I spotted these browsing beauty emporium the other day, I really want to try them, they sound lovely!